If you’re in Istria on holiday for an extended period of time, you might like to consider a day trip inland, away from the usual coastal resorts – there are a number of inland towns and villages which are well worth a visit. These include Buje, Motovun and Pazin. There’s also Hum – supposedly the world’s tiniest town although with only 17 residents, it’s little more than a village! Other than these towns, almost all of the inland Istrian region is exceedingly pretty. If you have access to your own wheels (i.e. a hire car! ), it’s worth having a drive around to explore the area. 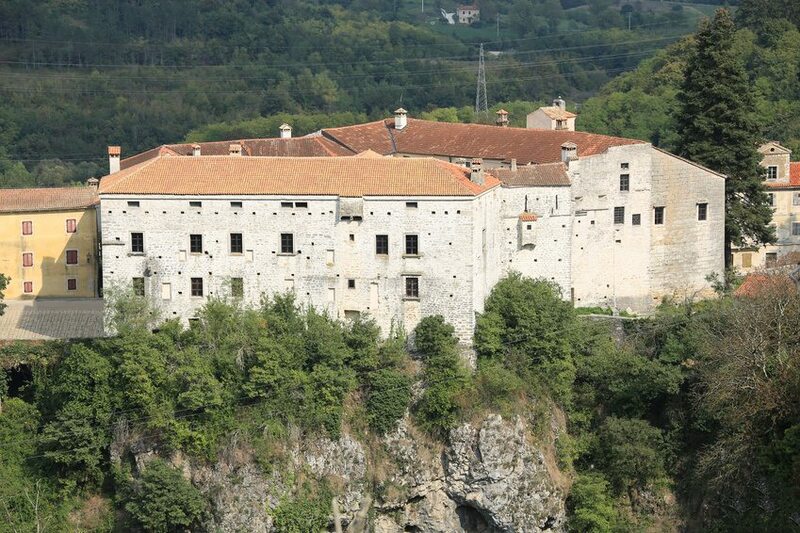 Do also check out our Day Trips from Istria section for details of trips to Slovenia and Italy. 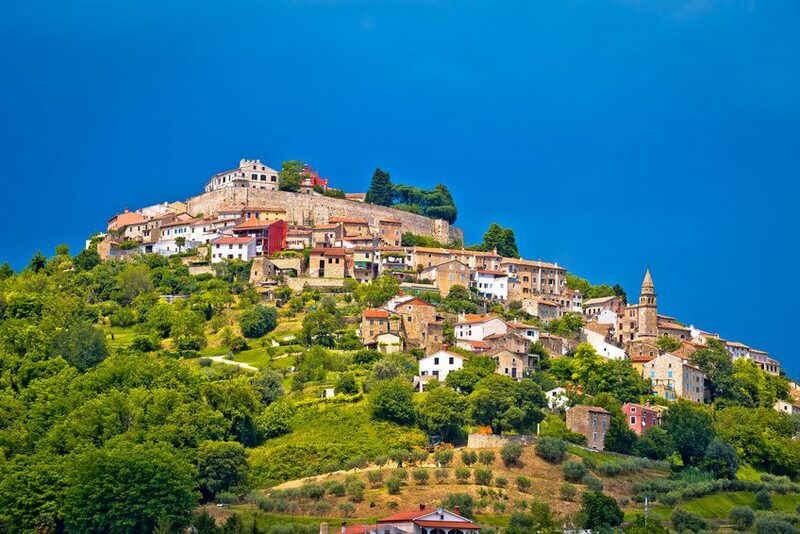 Northeast of Porec and perched up high on a hill (at 270m/886 ft) – and therefore viewable from a fair distance around – the village of Motovun is one of the more famous medieval hilltop towns in Istria, receiving a fair share of visitors each year. The town is also well known for its annual, ever-growing Motovun Film Festival which showcases domestic and foreign films. Surrounded by town walls built by the Venetians (on which you can walk, for great views of the surrounding countryside), there are also towers and city gates to explore. In the main square of Motovun stands the Church of St Stephen (Crkva sv. Stjepan) which was built in the early 17th century, next to which is situated a bell tower from the 13th century. 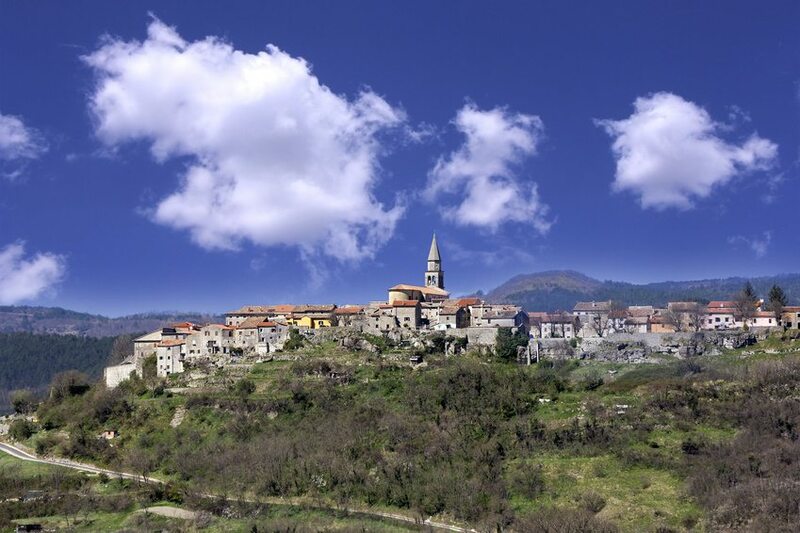 Even further northeast of Motovun, the larger Buzet is best known for its truffles which are grown in the local area. For sights, see the Church of the Blessed Virgin Mary and the well in the centre of town. If you’re there in autumn – September to November – you’ll be able to enjoy peak truffle season. Be sure to try a truffle dish – such as pasta or gnocchi with truffles or a truffle sauce, or truffle omelette – when you’re there! It is also possible to go truffle-hunting yourself – enquire locally for any tours and trips that are being organised. Situated inland from Umag on the coast, Buje is another lovely Istrian hilltop town. Close to the border with Slovenia, it’s somewhere you may well pass through if travelling by bus from Trieste to Istria. Also surrounded by partially-restored town walls, Buje is another town with heavy Venetian influences. Sights there include the Church of St Servulus (Crkva sv. Servul), the Church of St Mary (Crkva sv. Marija) and an ethnographic museum. Another possible stop on your Italy-to-Istria bus journey, Pazin is also the official capital of Istria (for the reason that it’s roughly in the centre of the region) and is about 30km inland from Porec. Though understandably not as popular as its coastal neighbours and not as pretty as other inland Istrian towns, Pazin is still worth a visit. There’s the Church of St Nicholas (Crkva sv. Nikola), which houses Gothic frescoes from the 15th century, and Pazin Castle (Kastel), built around the 9th century but added to in the 13th and 14th centuries (pictured above). The castle is home to the Ethnographic Museum of Istria, which has various collections of Istrian costumes, jewellery, instruments and so on. If you’re visting Pazin around the beginning of a month, Pazin holds its “Pazin Market” on the first Tuesday of each month, which is the largest traditional town fair in Istria. There are buses that run between these Istrian towns – check at your local bus destination for timetables. However, you may find easier to get around by hiring a car; this is also a lovely way of seeing the Istrian countryside. It most likely won’t make sense to hire a car for the duration of your stay in Istria (if you’re basing yourself on the coast), so if you fancy a day trip to these inland Istrian towns and villages, why not consider renting a car just for one or two days? There are reasonably good connections to Pazin, however, which is considered something of a transport hub for Istria. This small group of islands are located off the coast of Istria, near Pula. You can get a boat across to them from Fazana, just north of Pula – journey time is 20 minutes. They are really great to visit for a day trip – read more about them in our Brijuni Islands section.